Here's a simple example. It just draws a gouraud shaded triangle to a window. 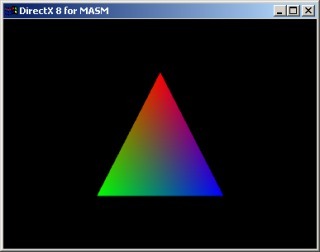 A Direct3D 8 include file for MASM is included. Another Direct3D example. 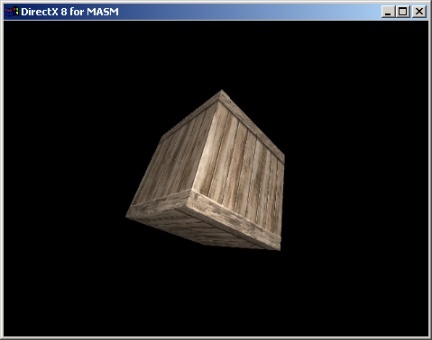 Here a lit and texture-mapped cube is drawn. Also shows how do load a texture, do transformations etc. without the big piece of bloat they call D3DX.